Keep informed this weekend by grabbing today’s leading fresh app, Reuters, which brings wire news stories on a number of topics straight to your iOS devices. We’ve also got some great games for your off days – Order & Chaos Duels, a card battle game based on the Gameloft massively multiplayer role-playing title, and Fetch, an interactive storybook-slash-point-and-click adventure title that’s great for kids. Zinio put together a survival guide for magazine lovers, now that many magazine and newspaper publishers are embracing digital. Read about their counsel in this Guest Post. What’s it about? News wire service Reuters brings stories from all over the country straight to your iOS device. What’s cool? If you read news sites and newspapers, chances are you’ve read stories from Reuters. Like the Associated Press, it’s a news wire service that has member agencies like newspapers, television networks and more all over the country and the world. 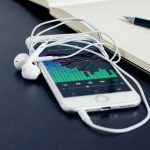 That means you can get stories from a number of places on a number of topics wherever you are, as well as up-to-the-moment market data for those who keep an eye on stocks. You can read lots stories from a number of different topics and sections, and share stories through email, Facebook and Twitter. Who’s it for? If you like reading news stories, Reuters has a ton of them, with a number of different topics available. News junkies, get all the info you need from all over the country and the world. What’s it like? You might also check out the AP Mobile app, as well as BBC News. What’s it about? 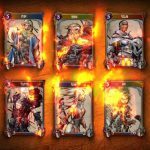 Gameloft’s beautiful World of Warcraft-like role-playing title Order & Chaos continues to spawn spinoffs, with its latest being a digital card battle game. What’s cool? Like other card battle games, Order & Chaos Duels has players creating “decks” of cards, each of which has different properties and stats to use in battle against another player and another deck. The game includes a single-player campaign mode in which you can work through a story, fighting a series of battles with your cards and earning new ones, and also lets you take on other players online with either live or asynchronous multiplayer battles. Who’s it for? Fans of card battle games and Order & Chaos will find a new brand of strategy in this version of the franchise. What’s it like? Check out the original Order & Chaos Online, as well as Rage of Bahamut for another fun card battle title. What’s it about? The latest title from Big Fish Games, Fetch mixes adventure gameplay and storytelling with a bit of arcade action. What’s cool? Fetch feels a bit like a hybrid of a number of genres, and it tells its story like an interactive e-book as much as an adventure game or an arcade title. It’ll likely resonate best with younger audiences and their parents, telling the story of a boy searching for his stolen dog in a future filled with robots, aliens and other lighthearted dangers. Players can interact with lots of stuff on every screen to help tell the story, and there are the occasional puzzles to solve or waves of aliens to zap, but for the most part, Fetch is about interactive storytelling of the heartwarming, animated variety. Who’s it for? 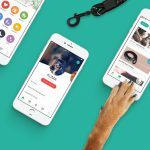 Fetch will probably best appeal to kids and parents playing together, but there’s a little something for everyone as well. What’s it like? Try The Act for more interactive storytelling, and Puzzle Agent for an adventure game with lots of puzzles and a compelling (but more adult) story to tell.